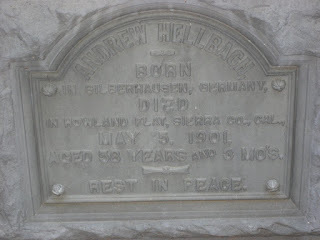 The Tombstone photos that I am posting are of no relation to me. Our family did a camping trip up in Northern California in 2007 in Marysville, CA. My husband and some of his co-workers went jeeping along the back roads thru La Port and ended up in Howland Flats, CA. 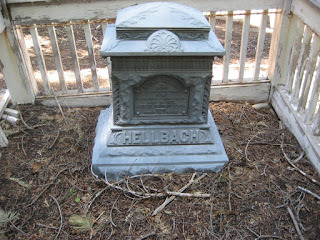 My husband took these photos for me, knowing my passion for Genealogy and Cemeteries! 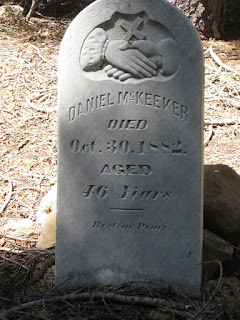 We have several photos of Head Stones that I will post here. I have been wanting to post these photos but could not remember the town they were in, my husbands friend and co-worker, who is a Jeep guru, looked it up for me and told me where to go on google so that I could give you the facts. 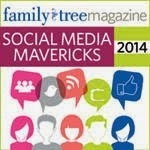 I was going to post a link but when I found the one I wanted, it's protected by the US Gen Web project. I was happy to see that...however I could not use that here. 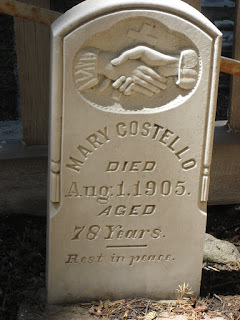 So if you want to know more about this wonderful little mining town just google Howland Flats, CA. It lists all who are buried there. I would like to get ahold of Beth Bullard-Watson and offer these photos for part of that archive if she is interested. 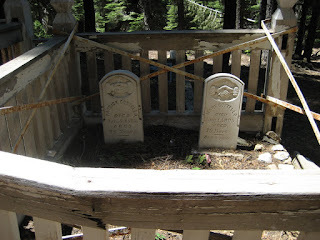 As I was starting to say, I have been wanting to post these photos so that it may help others who are looking for their Ancestors that could be buried there. Jan. 8, 1892, Aug. 1, 1905. Rest in peace. Rest in peace. 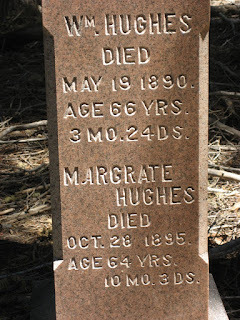 Most of these headstones are in great condition. Marysville, Howland Flats, La Port, CA, are neat little towns, its so pretty up there. I grew up in Northern Cal, camped as a little girl all over these areas... I really do miss it there!